Who can get a tax break? Any person or ‘assessee’ who makes an eligible donation is be entitled to get tax deductions subject to conditions. This section does not restrict the deduction to individuals, companies or any specific category of taxpayer. Which donations can get you a tax break? There are thousands of trusts registered in India that claim to be engaged in charitable activities. Many of them are genuine but some are untrue. In order that only genuine trusts get the tax benefits, the Government has made it compulsory for all charitable trusts to register themselves with the Income Tax Department. And for this purpose the Government has made two types of registrations necessary. Only if the trust follows the registration, they will get the tax exemption certificate, which is popularly known as 80G certificate. How much deduction will I get if I donate? b) 10 per cent of the gross total income as reduced by all other deductions under Chapter VI-A of the Income Tax Act such as 80C (PPF, LIC etc. ), 80D (mediclaim), 80CCC (pension schemes etc. Finally, the deduction under section 80G cannot exceed your taxable income. For example, if your income before deduction is Rs 3 lakh and if you have given donation of Rs 5 lakh to the Prime Minister’s National Relief Fund, please do not expect to claim a loss of Rs 2 lakhs. Your income will be NIL (Rs 3 lakh – Rs 3 lakh). The deduction will be restricted to the amount of your income. There are special sections for businessmen and professionals who earn income under the head Profits and Gains of Business or Profession. Section 35AC and 35CCA allow a deduction of 100 per cent of the amount donated for scientific research and rural development to approved research organisations. For this, the research organisation requires the approval of the Government. Those who do not have any business or professional income (like salaried persons), donations can be given to such organisations and 100 per cent deduction can be claimed under section 80GGA. What points should I keep in mind for claiming deduction? – For claiming deduction under Section 80G, a receipt issued by the recipient trust is a must. The receipt must contain the name and address of the Trust, the name of the donor, the amount donated (please ensure that the amount written in words and figures tally). 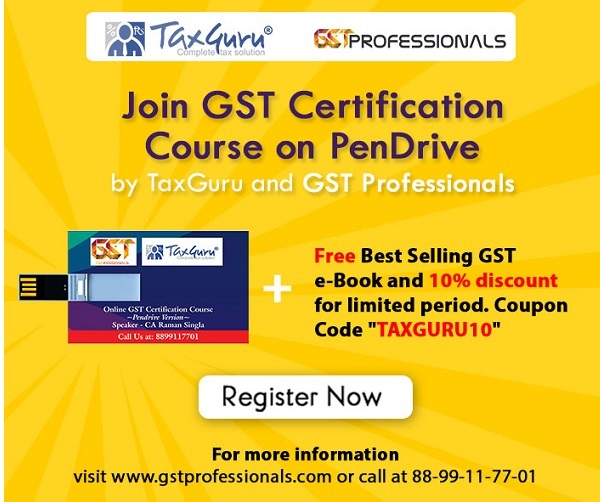 – The most important requirement is the Registration number issued by the Income Tax Department under Section 80G. This number must be printed on the receipt. The donor must ensure that the registration is valid on the date on which the donation is given. However With Effect from 1st October 2009 it is not required for a trust to apply for renewal of 80G certificate, if the same is valid on 01.10.2009 or valid upto a date thereafter unless department specifically ask Trust to apply for renewal. So Old 80G certificate will remain valid if the same is valid on 01.10.2009. So, please check the validity period of the 80G certificate. Always insist on a photocopy of the 80G certificate in addition to the receipt. Donations in kind do not entitle for any tax benefits. For example, during natural disasters such as floods, earthquake, many organisations start campaigs for collecting clothes, blankets, food etc. Such donations will not fetch you any tax benefits. No deduction under this section is allowable in case of amount of donation if exceeds Rs 10000/- unless the amount is paid by any mode other than cash. Is contribution ( say Rs 20000/-) to Bharat Ke veer fund comes under 100% deduction? Hi, the SANSKAR VIHAR SOCIETY an not-for profit organization registered at NCT Delhi. we are looking for donors who can donate for deprived women and child development and care. donors who donate to our organization gets 80G certificate which gives them 50% benefits on their taxable income. plz contact who are interested in 80G certificate and donating. info@svsngo.org or 9870544550 for queries n details call now. Hi, the SANSKAR VIHAR SOCIETY an not-for profit organization registered at NCT Delhi. we are looking for donors who can donate for deprived women and child development and care. donors who donate to our organization gets 80G certificate which gives them 50% benefits on their taxable income. plz contact who are interested in 80G certificate and donating. donate@svsngo.org or 01140158373 for queries n details call now. I would like to have listed of genuine Institutions are accepting donetions and or eligible to provide me with tax exemption certificate. my gross income is 672390/-and u/c80c saving 150000/- tell me donation amount so i eligible for 5000/rebate u/c 80 g. witch document are require send details.please. I want to donate amount for Cancer Hospital. I want to know what are the Income tax benefit to me and under which section of IT. Hi, the SANSKAR VIHAR SOCIETY an not-for profit organization registered at NCT Delhi. we are looking for donors who can donate for deprived women and child development and care. donors who donate to our organization gets 80G certificate which gives them 50% benefits on their taxable income. plz contact who are interested in 80G certificate and donating. donate@svsngo.org or 9818103512 for queries n details call now. I have donated to private trust. Nane of the trust comes under 100% list. I have show this amount. Trust name Shree Aniruddha Upasana Foundation. visit website – http://www.visionsuppor.org .for quiries n details call now. 1. I met with a freak accident on Dec 12, 2014 in Hyderabad. 2. This freak accident resulted in fracture, muscle tear and tendon damage to both ring and little fingers of my left hand. In addition, the little finger nail and nail-bed got chopped off. 3. The surgery (re-construction of fingers) to both the fingers and amputation to the tip of my little finger were done. This incurred a total expenditure of Rs. 48,804/-, excluding the subsequent cab and auto fares for a period of one month to commute to the office and back. 35,509/- only as against the total medical actual expenditure of Rs. 48,804/-. Sir, I made a donation of Rs.20000/- to Matha Amrithanandamayi Math through DD. Whether I am eligible to claim the same under Section 80G. If so what is the procedure. I am having the receipt of drawing DD. Is it not sufficient to claim the same. I have made an donation of 103500/- to Sri Ramkrishna Mission Seva Pratishtan in FY 2011-12. I wanna know that whether this donation amount is eligibe for 100% deduction u/s 80G without applying any qualifying limits. let me know the tax amount of a Gr A government employee with total basic pay Rs.245120, gr pay Rs 64800/-, DA Rs. 176324/-, HRA received Rs. 61984/-, Transport allowance Rs 29546. His GPF cont is Rs 96000/-. CGEGIS cont Rs 1440/- P tax 2400/-, Paying Rent @ Rs9000/- per month, Paying Education loan interest & HBA loan interest Rs 9600/- & Rs.18000/-. Our organization is eligible to get Donations under sec. 80 G. In our certificate it is mentioned that,in the receipts issued to the donor, the fact that the deduction will be eligible for donations received should be mentioned. Can you suggest us how our receipt should be printed and given to our donor. I would like to know if the org is not u/s 35AC but has a registration for 80G how can the deduction be claimed by a salaried employee? Read carefully , study the case, apply your knowledge get it done. If not consult with appropriate authority . All may not be available as like as Instant tea and/or coffee. Use your ATM card , insert in to the ATM machine , press your PIN, get money. Tax Laws are not as like as ATM. as simple , but not complex even . Enhance your knowledge . Knowledge is Power. It is not a promotion of any profit-making organization. It is not an advertisement of any product. It is an organization originated from concepts and agonies of parents of some Autistic, Mentally Retarded and Cerebral Palsy children. “Autism” that you have seen in “My name is Khan” or “Apki Antara’, “Dyslexia” that you have seen in “Tare jamin par”. We, the twelve odd parents of differntly-abled babies with autistic, dyslexic, Cerebral Palsy have launched an integrated educational institution namely Kalyani Life Institute at Kalyani, Nadia aiming to equip special child with basic needs of life. Your blessings are highly solicited. Our commencement date 16.12.2009 and registration date 26.02.2010. We want to see those babies recovered; we shall not allow anybody to dupe us for our ignorance. In the Govt. Sector FY is being counted from March to February for salary earner people. One of our employee has donated Rs. 6,000/- to CRY (Child Rights & You)on 06/03/2010 through Cheque. Request to kindly let us know (a)whether he is entitled to get exemption relief or not since the tax against Feb 10 salary has already been depostied with the Govt. (b) How much amount of donation is eligible for exemption of Tax (whether 100% or 50%). (c) Can we may consider above stated amount in the next FY 2010-11.